The amount of pollutants is increasing in our waterways due to the growing number of vehicles on our roadways and the growing population. During a rainstorm, when water flows over paved surfaces, it picks up pollutants which eventually make their way downstream to our local waterways. Implementing stormwater best management practices can help reduce these pollutants while improving water quality and achieving minimal impact on the surrounding environment. There are many types of pollutants on our paved streets, parking lots, and roofs such as sediment, metals, nutrients, petroleum hydrocarbons (oil and grease), trash, and more. As construction-industry professionals, we need to make sure our projects do not negatively affect wildlife and habitats downstream. Since stormwater is one of the biggest sources of pollutants, the most efficient way to tackle this is by treating rainwater where it falls. There are different categories of pollutant removal, from capturing large trash and debris to removing dissolved metals. Just like when reducing stormwater runoff, there are different best management practices (BMPs) that need to be followed. Your local jurisdictional requirements will determine what you need to do for your project. Read on to learn about some of the options available for pollutant filtration and reduction systems. 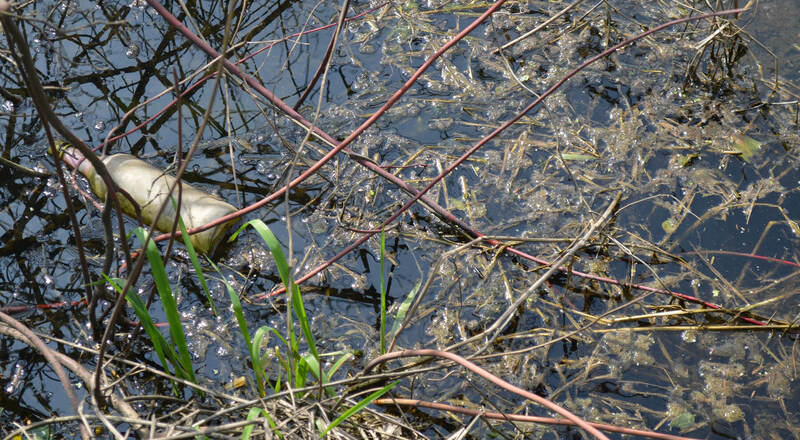 Stormwater picks up a variety of contaminants along its path that need to be filtered out before it is infiltrated back into the environment. Some of the most visible culprits are trash and debris like food wrappers, cigarette butts, leaves, and more. Storm drain trash capture devices and guards are located where the water is first captured and block the largest debris from continuing to travel with the stormwater. They can be used in catch basins, curb inlets, and parking lot grates to capture large sediment, trash, and even finer pollutants such as total suspended solids (TSS) and petroleum hydrocarbons. Often, these devices look like baskets that sit inside the inlet and collect the debris. Keep in mind that because they capture large pollutants, they need to be regularly emptied and maintained to prevent them from getting full and causing backups. Hydrodynamic separators capture a mixture of larger and smaller pollutants, such as trash, debris, sediment, and oils, in a settling or separation unit during high flows of stormwater. Through vortex cylinders, the stormwater swirls around, causing particles to settle in an isolated bottom storage compartment while the floating debris and oils are directed to the upper storage areas. 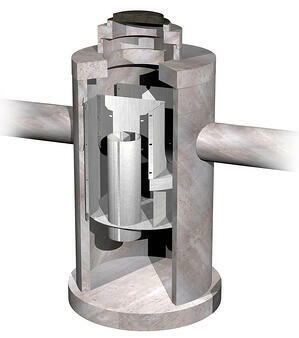 The clean water then flows through the device and downstream while the pollutants are trapped. These separators can be used as a pre-treatment either on their own or in conjunction with other devices. To tackle even finer pollutants and reduce total downstream pollutant discharge load, media filtration systems use a mix of media such as carbon, often contained in cartridges. 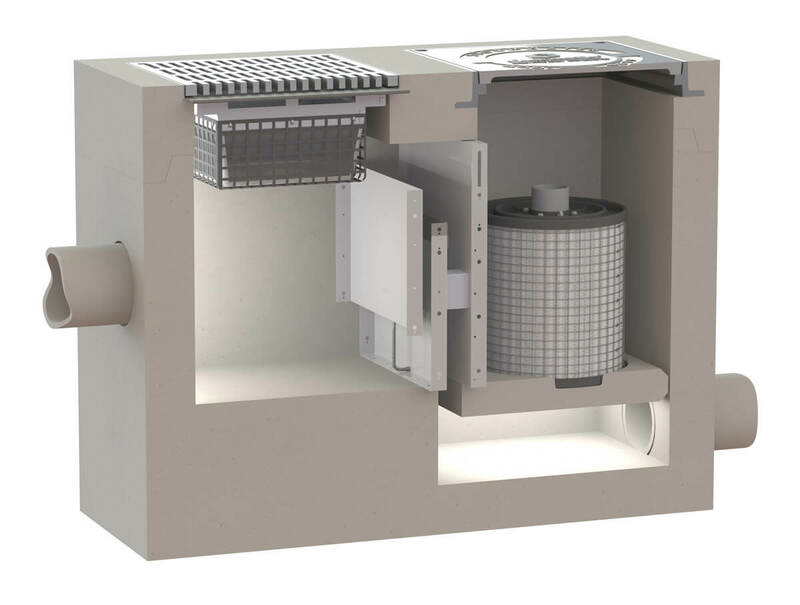 These systems capture sediment, TSS, oil and grease, phosphorus, metals, and more, and are often seen with pre-treatment chambers and replaceable cartridge filters. 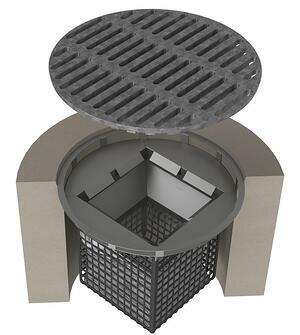 Depending on the size of the unit required to treat the stormwater on your site, these systems can be designed as catch basins, manholes, or even large custom vaults. 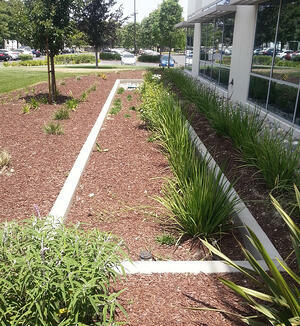 Bioretention and biofiltration methods use natural products to remove finer contaminants and sediment from stormwater runoff. These products incorporate layers of materials, such as special soils, aggregates, and mulch, along with vegetation, and often comply with low impact development (LID) requirements. Some designs also contain trash capture areas to collect larger debris before the water gets further treated by the media. These systems can also be incorporated into your landscape design as they can be designed as planter boxes, trees, swales, and more. Incorporating one or more of these systems into your project design, whether it be a new development, a re-development, or an urban retrofit, will help reduce pollution and have a better impact on the surrounding environment. Capturing pollutants where the rainwater first falls results in a reduction of pollutants in the stormwater as it flows downstream. Continuing to capture pollutants at different stages downstream results in healthier water, streets, and parking lots. Interested in learning more about stormwater management, including how to reduce volume and maintain stormwater systems? Check out our guide.